Posted on 10, April 2018 by EuropaWire PR Editors | This entry was posted in Aviation & Aerospace, France, Technology, Transportation & Logistics, Travel and tagged Airbus, aircraft, airlines, berths, Christophe Bernardini, Geoff Pinner, passengers, sleeping berths, travel, Zodiac Aerospace. Bookmark the permalink. 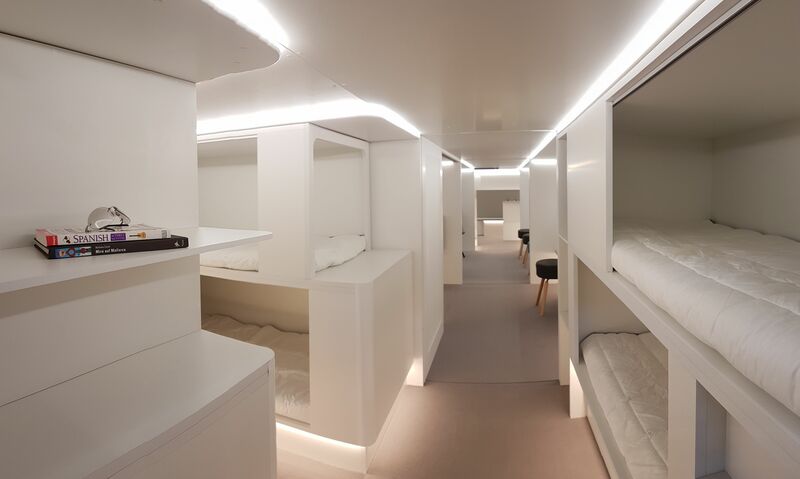 TOULOUSE, 10-Apr-2018 — /EuropaWire/ — Airbus and Zodiac Aerospace have partnered to develop and market lower-deck modules with passenger sleeping berths. The modules, which would fit inside the aircraft’s cargo compartments, offer new opportunities for additional services to passengers, improving their experience while enabling airlines to differentiate and add value for their commercial operations. The new passenger modules will be easily interchangeable with regular cargo containers during a typical turnaround if required. Moreover, the aircraft’s cargo floor and cargo loading system will not be affected at all, as the passenger module will sit directly on it.